Skips is the uniquely fizzy, light, melt in the mouth snack. Forty years on, it's just as popular as ever, selling three bags every minute. 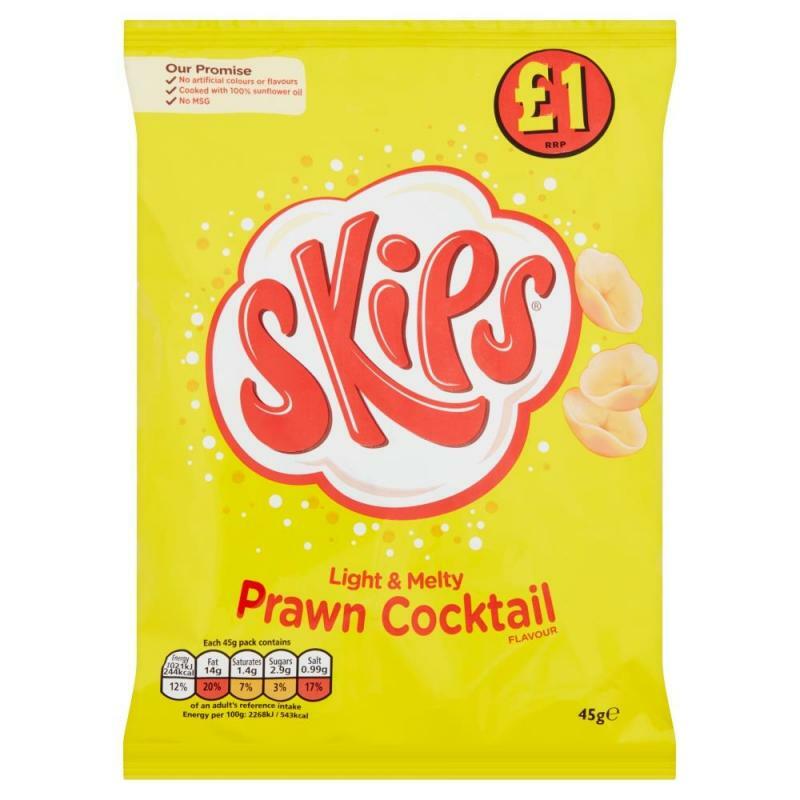 Best known for its legendary prawn cocktail flavour.